Does Reverse Osmosis Remove Fracking Chemicals? The double meaning of ‘fracking’ in this instance makes us chuckle. It could either serve as a replacement word for a curse word or as an accurate description of the chemicals in question. Quite honestly, until gas companies come clean with the full list of ingredients they put in fracking fluids we will never really know what method of water filtration will work best to remove them. We do know, however, that properly functioning reverse osmosis water filter systems will put a serious dent in the concentrations of commonly found drinking water contaminants… including a number of the compounds currently identified as fracking fluid components. Will reverse osmosis save your bacon, if fracking fluid somehow makes its way into your water supply? As of right now we don’t know for sure, but we bet water treated using reverse osmosis will contain far fewer contaminants and we, if given the option, would rather drink the RO (reverse osmosis) water! Please note, however, that as we conducted the research for this blog posting we uncovered something that we did not, previously fully understand… reverse osmosis units on their own do an excellent job of improving water quality by cleansing it of SOME unwanted contaminants potentially found in fracking fluids (i.e. 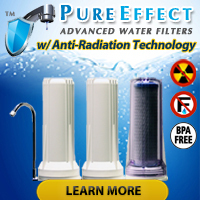 dissolved metals), but a person looking for a water filter certified to remove other common fracking fluid components like VOC’s (volatile organic contaminants) should seriously consider purchasing a unit equipped with pre and/or post filters that scrub the water for VOC’s. 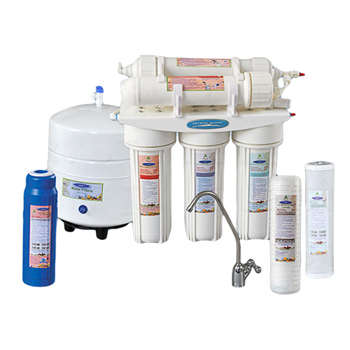 As an example, of what we just talked about, the Pentek RO-3500 reverse osmosis system has tested and certified to NSF/ANSI to Standard 58 for the reduction of Pentavalent Arsenic, Barium, Cadmium, Copper, Hexavalent & Trivalent Chromium, Cyst, Fluoride, Lead, Nitrate/Nitrite, Radium 226/228, Selenium, TDS and Turbidity in water, but not VOC’s. Don’t get the wrong idea about the Pentek RO-3500, though. The reviews we found for the unit speak VOLUMES about its ability to clean up otherwise unpleasant drinking water. It just may not work as well for the purpose of removing fracking fluids from drinking water. So… If not reverse osmosis, then WHAT? Again we want to stress that until gas drilling companies must reveal the full list of potential ‘nasties’ they put in fracking fluid, no one will really know the best way to remove fracking fluid from drinking water. 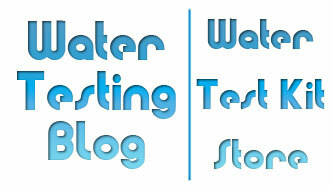 If you plan to buy a water filter, also plan to have your water tested by a certified drinking water testing laboratory. Whether you choose use a mail order water testing service like National Testing Laboratories or you opt for the services provided by a local laboratory, a water test may keep you from foolishly spending your hard earned money on the wrong type of water filtration system!